Item # 302160 Stash Points: 2,397 (?) This is the number of points you get in The Zumiez Stash for purchasing this item. Stash points are redeemable for exclusive rewards only available to Zumiez Stash members. To redeem your points check out the rewards catalog on thestash.zumiez.com. Finish off your daily outfits with the Cobol Heather Black Beanie from Discrete. 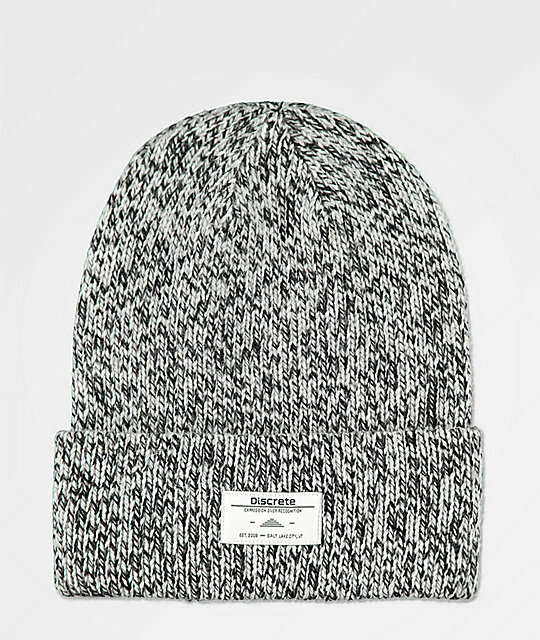 This beanie offers a heavyweight construction and is complete with a Discrete brand tag on the cuff for a subtle look. Cobol Heather Black Beanie from Discrete. Fold-over design with brand tag. Gentle wash by hand, lay flat to dry.